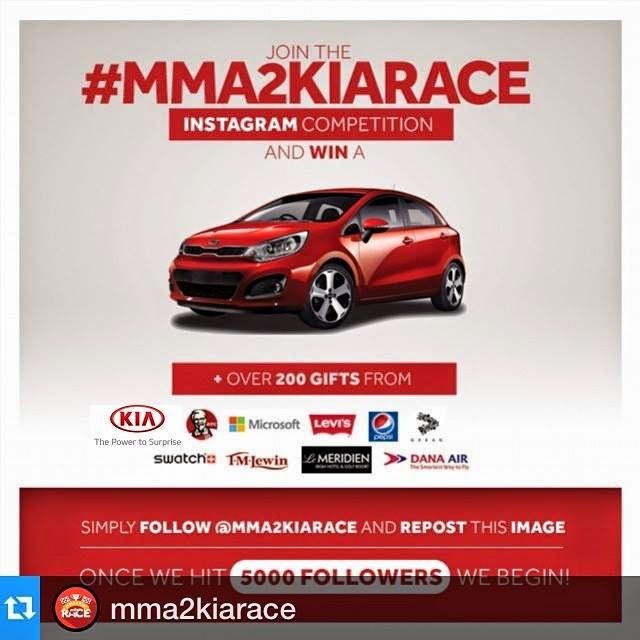 Introducing The #MMA2KIARACE ... The coolest instagram competition/giveaway with a KIA RIO and over 300 different prizes to be won! 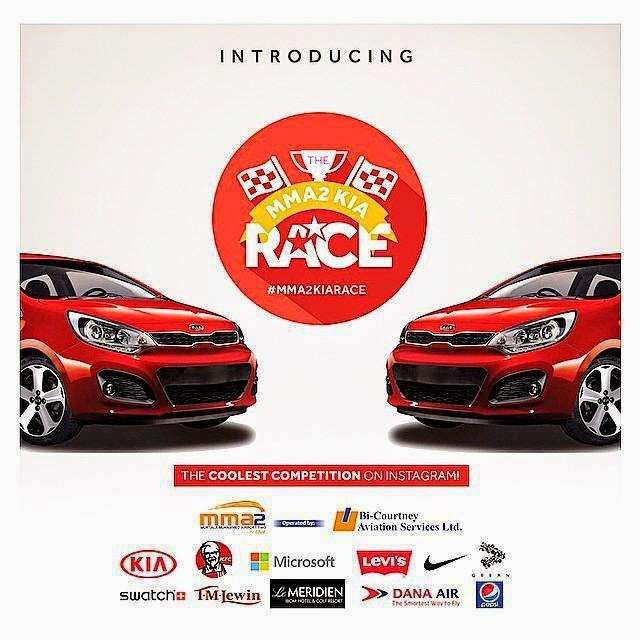 This competition is run by the Murtala Mohammed Airport 2 (MMA2) in partnership with KIA Motors and many other great brands. This exciting #race has 7 elimination stages where followers of the instagram page would be asked to participate in activities and the fastest responses would be chosen. First, 200 people will be selected and then the list will be pruned stage by stage till 20 people are chosen for the FINALE to win a #KIA RIO. Unlike other competitions , those eliminated will WIN gifts too! It starts Friday 8th May 2015! This is definitely something you want to be a part of and will have fun doing.